Many organizations needs assistance to benefit from Kotlin rapidly. While the benefits of Kotlin are clear in terms of reduced development cost and increased code quality still companies have to develop the right skills to collect those benefits. We are committed to help as many organizations and developers as possible to benefit from Kotlin reducing those costs. For doing that we provide free content and participates in the community, through open-source projects and discussions. Developers can use the content we provide to learn Kotlin on their own, on the job, but this requires an investment in terms of time subtracted to other activities. This also require to wait 6-12 months to start seeing the real benefits. 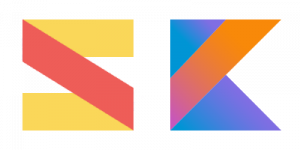 For these reasons companies could prefer use our services to reduce the cost and the risks of adopting Kotlin.